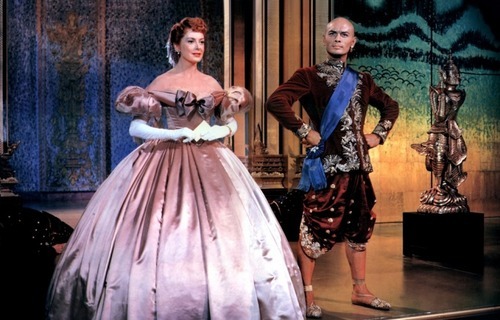 Yul Brynner and Deborah Kerr - The King and I. . HD Wallpaper and background images in the Yul Brynner club tagged: classic hollywood yul brynner classic actors the king and i deborah kerr. This Yul Brynner photo contains hoopskirt, crinoline, हुप्सकैर्ट, and क्रिनोलाइन. There might also be एक प्रकार का नाच, पोलोनीज़, overskirt, ओवरस्कर्ट, crinoline, and क्रिनोलाइन.